Welcome to Traindame’s Blog Station! My name is Dorcie Farkash and I am the President/CEO of T W Design in Dallas, Texas. Roger Farkash, my husband and business partner founded T (Theatrical) W (Warehouse) Design in 1982 and I joined him in the spring of 1985. Roger started T W Design three decades ago to serve the theatrical community providing a turn key experience in stage/lighting design, set construction, installation/strike and Project Management. From our first year in business, services quickly expanded to include: Industrial Shows, Corporate Stages/Events, Tradeshow Exhibits, Museum Displays, Themed Retail Environments as well as design and construction for the Amusement Park Industry. 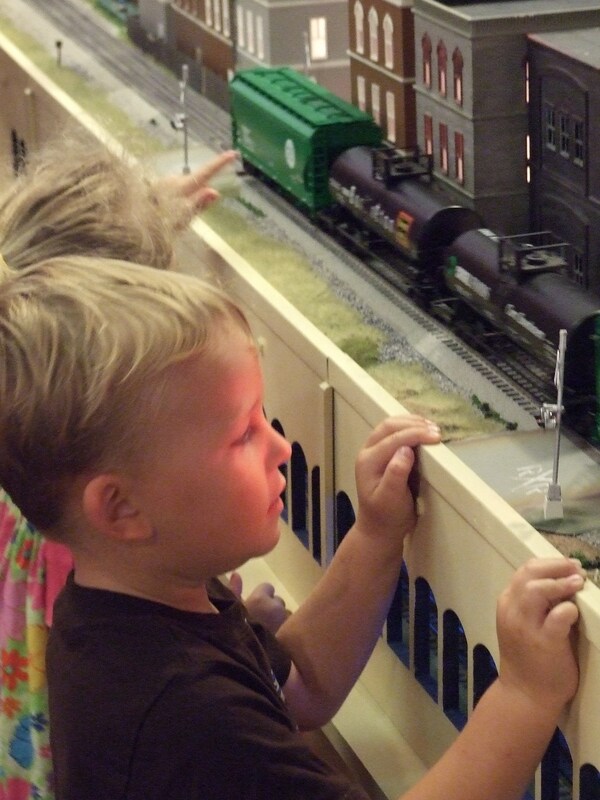 In 2001, Lionel become one of our exhibit clients enabling Roger’s life long passion and God given talent for what we’ve coined “The Art of the Train” to be reignited, as was quickly realized with his first design of Lionel’s booth for the New York Toy Fair. The booth itself reflected Lionel’s iconic accessory, the 840 Industrial Power Station and included an operating train layout as the centerpiece of the booth. So how does this all relate to…Traindame? Well, I have worn many hats on this incredible journey I’ve traveled with Roger and although I may have arrived a little late at the “station”, once on-board, I fully embrace the extraordinary Toy Train Niche that is filled with unique people who – bottom line; relax more, enjoy more, smile more, laugh more, share more and truly become rejuvenated after spending time running their trains. 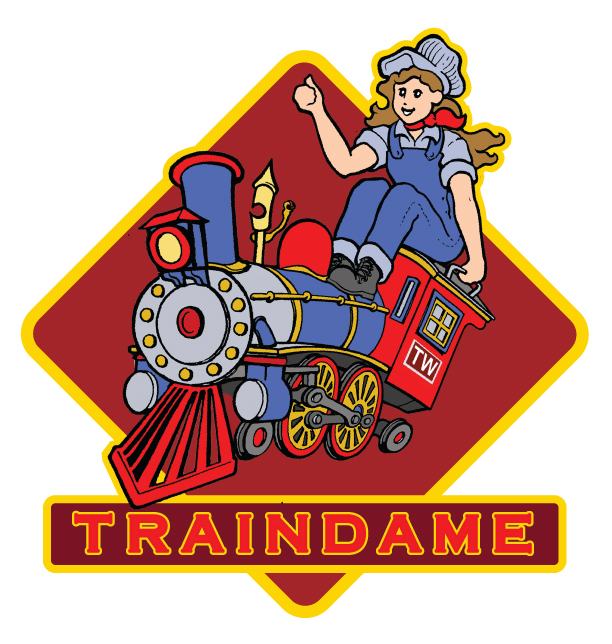 Traindame is now on a mission…to provide product to this special Niche of Toy Train Loving People…I mean – who doesn’t want to relax more? Enjoy more? Laugh more? Smile more? Share more? And live in a rejuvenated atmosphere??? Jump on NOW and ENJOY Traindame’s Blog! Thank you for your comment and how exciting to start building on your benchwork! We would love to work with you on your pass-thru’s and the best way to do that is to schedule a call to discuss exactly what you want so we can work with you to design it. That type of pass-thru is not something we would “pull off the shelf” but rather would be custom made for your layout. I can’t wait to meet you live at an event soon in the LockerRoom!!!! I just emailed you picture of the front and back view of our Kansas City Station on one of our client’s layouts. Dorcie, always enjoy your posts on the forum and glad to see Mike R. as part of your team, he was so much help when he was at Lionel. He probably spent an hour on the phone with me,years ago, do this do that, run a wire here etc. My layout works great now glad to see he will be available if I ever need help again.